Indulging in a healthy way, sign me up! One of my favorite things is taking traditionally sinful eats and recreating them in a healthy way. Less fat, less guilt, more healthy ingredients, less salt, etc. Just like with the Zucchini Fries from a few weeks ago, I have another hot tip for you here, that will ensure that the fries stay crispy. I bake them on a cooling rack that is sitting inside of a cookie sheet. Super helpful way to keep your sticks crispy! Preheat oven to 350ºF. 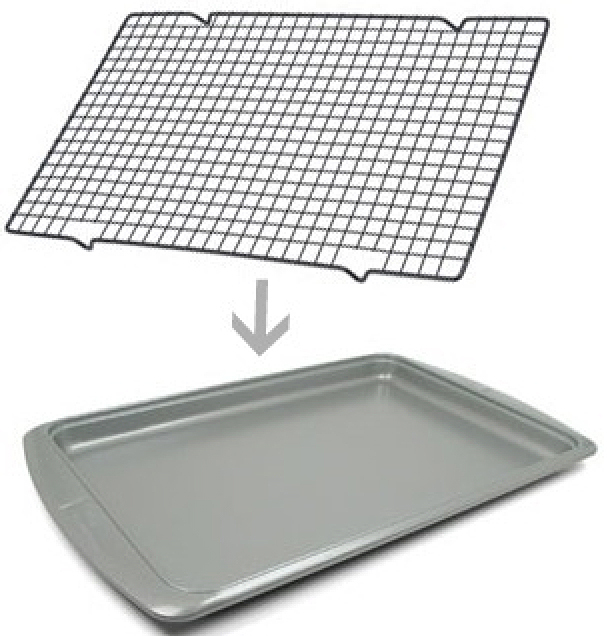 Line a cookie sheet with parchment paper and set aside. In a small bowl, beat egg with a whisk until light and fluffy. In another medium sized bowl, combine panko, Italian seasoning, garlic powder and pepper and stir together. Cut each light string cheese in half. Dip cheese first in egg, then roll in breadcrumb mixture. Place on parchment covered baking sheet. Repeat until all cheese sticks are covered. Bake in preheated oven for 5-8 minutes, or until cheese is soft and warm. Serve right away with warmed marinara sauce. Enjoy! !